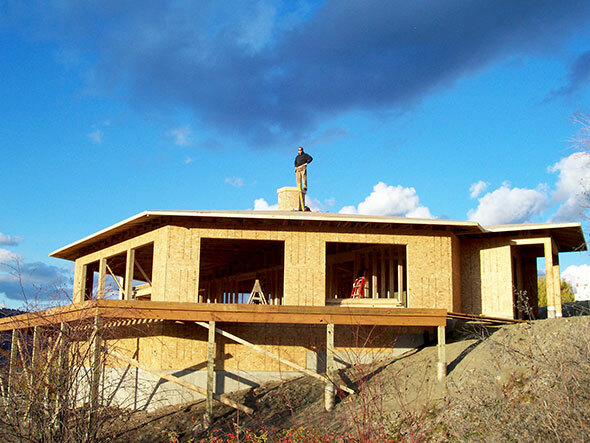 Wilkins Construction Ltd. Home Page, WCL is a construction company based in Vernon providing residential and commercial construction services. To provide building solutions that are environmentally sensible with a lifelong commitment to quality, durability and better business practices. by working harder for you. Doing your homework pays off and we will prove it to you in every project we undertake.Contact us today for a free in home consultation, a professional detailed estimate or to book a qualified professional for your next project. Welcome to Wilkins Construction Ltd. We build for life! It is more than a motto, it is a way of life, and it shows in every project we undertake. At Wilkins Construction Ltd. (WCL), there is an emphasis on building smarter, building stronger and building to last longer…, for life. Attention to detail, superior workmanship, and honest timely service are what define WCL. A wrap around deck offers spectacular valley views.